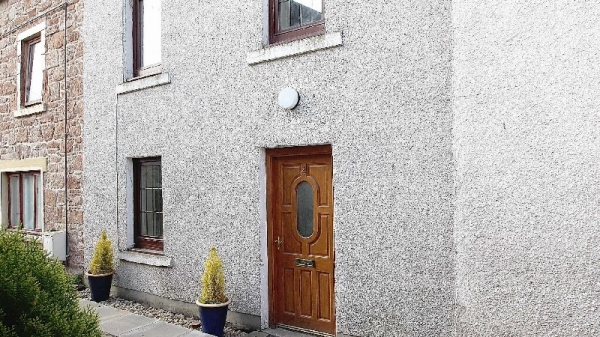 A family run 2 bedroom house on 3 levels in the heart of Nairn. Famous for its beach, 2 golf courses and a great central location to explore the Highlands of Scotland. Sleeps 4 (Possibly 5 see details). 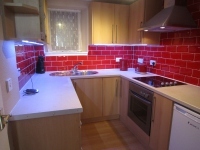 Located just off the High street, less than 10 mins from the Railway station and less than 5 mins from the Bus station. Ample parking either on the High street or in the Car park opposite. At this present time an e-mail is best. Weekly rentals March to Oct.
Short breaks either mid-week or week-end available Mid Oct to Mid March. A popular holiday town since the 1860's. With its award winning beach, 2 golf coures, Book & Arts Festival, Beer Festival and Highland Games it is still a fine holiday destination. 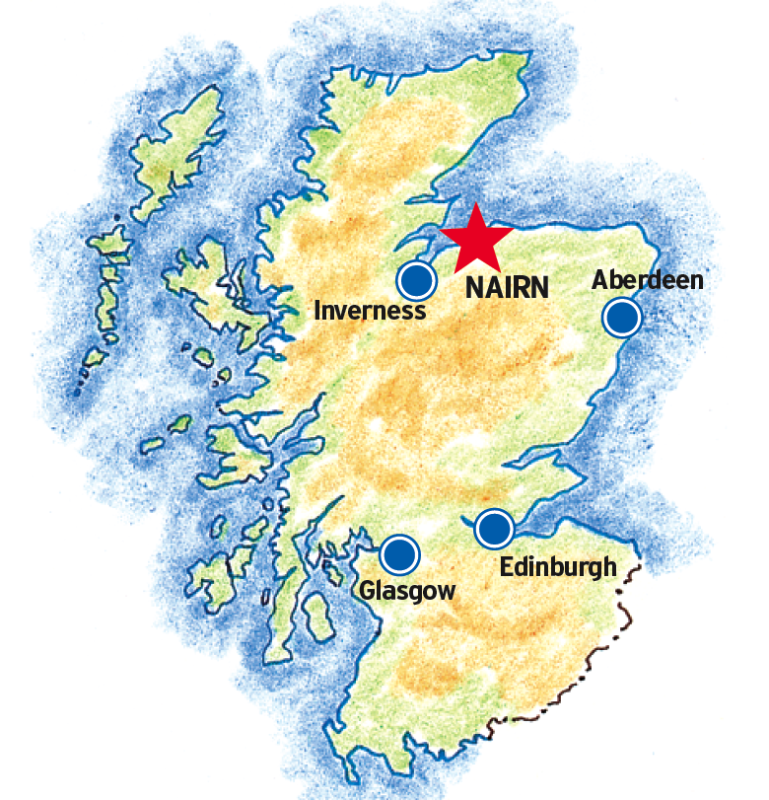 Using Nairn as a base you can visit a number of historical sites, partake in various activities and visit a number of attractions all within a few hours drive. Golf - Home to 2 links courses and nearby to many more including Castle Stuart (Home to the Scottish Open for 3 years) and Royal Dornoch (Ranked 6th in the Golf Digest Top 100). Sports Club for Tennis, Squash etc, 2 Lawn Bowling clubs and a Sailing Club at the Harbour. Cycles can also be hired from the High Street. A number of routes around the riverside and seaside to cycle or just walk. A number of places to eat. Everything from a Michelin Star restaurant to a bag of chips.